It is extremely important to keep up to date on your Wordpress site updates. 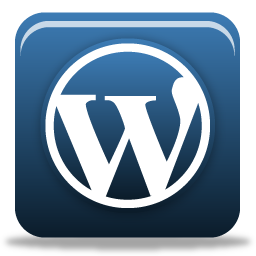 Wordpress is the easiest site platform for hacks, due to the fact that there are so many different author's of the plugins used for the site. Failure to stay on top of our updates can have serious negative impact, you can end up hacked. Now on to my experience I had today. I went into someone's site to do a schedule post, ( just a blog listing of available ladies) Upon logging in I was about to click to go to the add new post the sites updates area showed that the site had updated to Wordpress 4.8.1 . I thought nothing of it, as this is not a site I built , again I was only hired to go in and add a post by one of my regular assistant clients. Flash forward, about an hour passes and I begin to get frantic calls about the site is totally different, well I as you can imagine am baffled as I never do anything more than what I am asked to do, especially on a site I do not own and one I did not build. I explained that sometimes when Wordpress updates it can destroy a site, you can Google it and find all kinds of articles on this. luckily you can also find an article with directions on how to fix this, I promptly emailed these instructions to the business owner so they can forward them to their web person as I do not have access to the FTP server for their cpanel hosting for that account. Other wise I would have been glad to try to make the repairs myself. The lesson here is as wonderful, and customizable as Wordpress is , its also has vulnerabilities, and updates CAN affect your site. ALWAYS keep your Wordpress sites backed up, save the site before any updates occur. Again it can be downgraded to the previous older version of Wordpress but you will need to have access to your hosting server and the FTP for restoring it. Incase anyone else ever experiences this and needs the link for directions for repair, Here it is. Lastly I want to add, I do my job VERY VERY WELL, I am professional, reliable and I do not play with people's livelihood or accounts. I must ask that if I am working for you to avoid having "too many chiefs and not enough Indian's" that you do your business with me directly, unless you have an actual business partner. It becomes very frustrating when "friends" "acquaintances" etc begin trying to second guess what I am doing. Again I know what I am doing , quite well, and I will ONLY do what I am asked or hired to do , nothing more, nothing less. Please to keep things smooth and less stressful for both of us, if I am working for you handle your business with me DIRECTLY, my phone and email are available. Have a great day and weekend! Let's all make some good money!